Greg Horn who has a ton of amazing covers is at Denver Comic Con row G. He is there with his whole family helping out to run his booth. I spoke to his son for awhile who said his basement popular with his high school buddies because its decked out in his Dad's art. Check it out there are some amazing prints and art available. Horn has a photo realistic style that is amazing to look at. On Saturday June 14th 2014, I went straight to Greg Horn's booth and because I was early Greg offered to do a sketch for me. He drew an awesome Captain America Skrull on the cover of Secret Invasion number 1. It is amazing the best 50 bucks I have ever spent. My whole family was checking out and admiring it. It is truly my gem from this con. 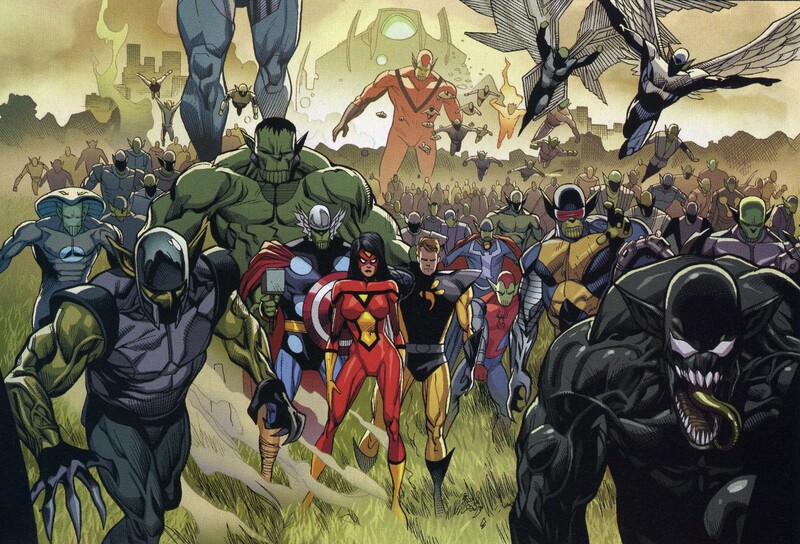 Secret Invasion was a storyline where the heroes across the Marvel World had been replaced by Skrulls for years in some cases. No one knew who was a Skrull and who was still human. The set up was good and well thought out it made for what in my opinion was the Best Marvel Event EVER! The Secret Invasion #1 had a variant cover that had a blank white area for a sketch and that is what Horn filled in with his Captain America Skrull sketch. If you know about Horn you know on top of his work on Ms Marvel Secret Invasion he also did a lot of the promo art for Secret Invasion that proliferated stores and the internet at the time. This made him a perfect candidate to sketch the cover. I will put up a picture of it later.